Are you ready to publish your new book? Now, stop for a moment before you jump into publishing and upload your book to Amazon Direct Publishing (KDP), Draft2Digital or Smashwords. Before you do, check that you know how to publish a book correctly and how to give it a boost from launch day. Whether you are a nonfiction or fiction writer, you only get one chance to write and publish a great book. Take your time and get everything right before you hit the publish button. Here is a list of helpful questions you need to answer to make sure you get things right. Can you answer yes to all the questions in the following 10 point checklist? 2. Is your book title unique? 1. Is your manuscript perfect? 2. Did you check your title and sub-title against existing books? 3. Is your ebook cover the right size and high-resolution? 4. Have you carefully selected your two niche book categories? 5. Did you do your research, and have your list of the best seven search keywords? 6. Have you written a solid book description that includes more long tail search keywords? 7. Have you decided on your ebook and or book price? 8. Have you made your decision between Amazon exclusivity or open publishing? 9. Do you have your author bio, back cover and inside flap descriptions ready? 10. Do you have two or three book reviews ready to add to your title? Did you answer yes to all ten questions? Yes, great. Publish. If not, let’s look at each point in more detail and get you ready to publish your new book. It took a long time to write your book. You have slaved over your text and hopefully had friends and family, as well as other people, review it. But is it perfect? You might have used a grammar checker, but did you check deeper? What about overused words, clichés and redundancies, sticky sentences, repetition, transitions, pacing, dialogue tags and consistency? The best way to review your manuscript for all these crucial issues is to use Prowritingaid. You can check some areas using the free version. However, with the premium version, which is not expensive, you can check your entire document using all 25 reports. It is the best way to find improvements and help with editing your book, which can only help enhance the quality of your book. Read our Hands-On Review Of ProWritingAid for more details about this impressive writing tool for Indie authors. Imagine publishing your new book, and then discovering there are 10, 20 or more books with the same title? Not only would it be disappointing it will also make your book very difficult to find. It is very easy to check your book title before you publish. At the same time, you should also assess how well your new title will work for online discovery and social media. If you spend a little time making sure your title is unique and search keyword rich, it can make a big difference to your chances of success. Your book cover image is going to be what potential readers first see. You need to make sure your cover design is crisp and sharp and stands out well anywhere it is available for sale. The best way to do this is to upload a large and high-resolution cover. Here is what Amazon Kindle Direct Publishing recommends for a digital book cover. These specifications are the same or very similar for Smashwords and Draft2Digital. The ideal size of your eBook cover art is a height/width ratio of 1.6:1. This means that for every 1,000 pixels in width, the image should be 1,600 pixels in height. To ensure the best quality for your image, particularly on high definition devices, the height of the image should be at least 2,500 pixels. Ideal dimensions for cover files are 2,560 x 1,600 pixels. Note: The minimum image size allowed is 1,000 x 625 pixels. The maximum image size allowed is 10,000 x 10,000 pixels. Your cover image must be less than 50MB. Try to avoid compressing your files. This can affect the quality of your cover when displayed on reading devices. For the best results, images should have a minimum resolution of 300 PPI (pixels per inch). Your cover image will be reduced in size to suit, from large to thumbnail. A high-resolution image will lose less clarity than a low-resolution image. You can and should check your cover image in thumbnail size before you publish. Selecting your two categories without doing any research will most likely mean that your book will be lost among thousands of titles in two general genres. For fiction books, selecting romance, science fiction or action and adventure is a fatal mistake. You need to drill down and find niche genres that are far less competitive. It is possible to use Amazon search to find some. But the best way is to use real-time data and narrow down your selection to categories that you can hopefully get to rank highly. 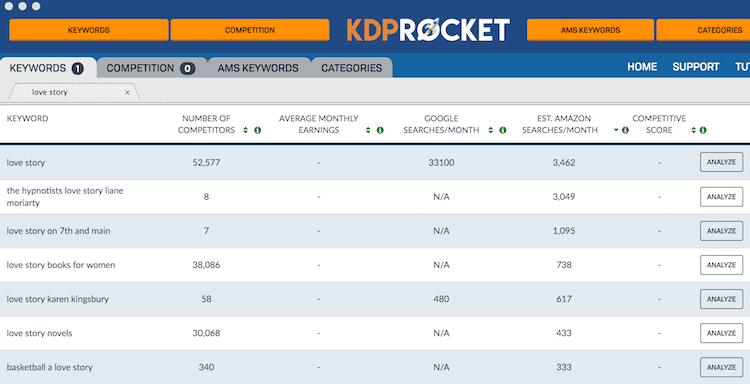 Using a pro tool such as KDP Rocket can help you find less competitive niche categories. You will need to add seven keywords when you publish. These are used to help readers find your book, so they are extremely important. But you can also include keywords in other metadata locations. More on that later. It is important to understand that keywords are not one word. They are short phrases that shoppers use when they are looking to buy something. Imagine a book buyer is looking for a new book to read. If their preference is romance, they will not type one word. Perhaps they would use, new love story, strong heroine, regency and tudor romances or make me cry. Finding keywords that book buyers really use is key to gaining attention for your new title. 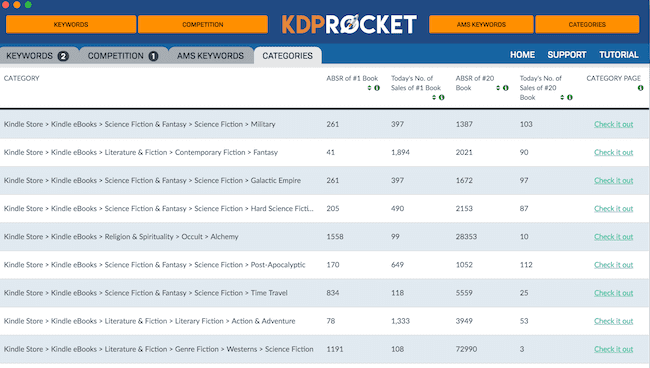 Again, KDP Rocket is the best way to access real data from book buyers. Look at the keyword, love story on 7th and main. It has a high search volume and extremely low competition. That makes it an excellent keyword choice. Don’t limit your selection to only seven keyword phrases. Collect around twenty, because they will all come in useful for other purposes. If you have written a few sentences in a hurry, stop and start again. Your book description is your number one hook to get the interest of potential book buyers. So it needs to be absolutely fantastic, and not an afterthought written in haste. Look at the description of top selling books by publishing companies in your genre and copy, steal or borrow some ideas. A traditional publisher usually uses a professional copywriter. So you can get some clues about how to improve your description. Do you know that your description is searchable? It is, so you need to include more keyword phrases in it. Recall I said collect twenty keywords phrases? Well, this is where you can use some of them. But you need to remember and be careful with one point. Do not use any of the seven selected keywords that you plan to use when you publish in your description. Using keywords twice will have a negative impact on Amazon search. Books and ebooks, like any product, are price sensitive. If your price is too low, it might look too cheap. If it is too high, you will lose sales potential. Another consideration is how your price compares when valued by a Kindle Unlimited subscription reader. A $0.99 ebook will not look as attractive to them as an ebook at $4.99. As a general rule of thumb, self-published ebooks have established a price point between $2.99 and $4.99. However, there are a few pricing strategies that you can try. It is a dilemma for all self-publishing authors. 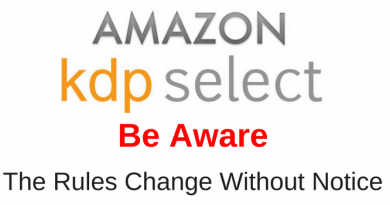 Amazon exclusivity affects your freedom to offer sample chapters or free ebooks on your website. So you need to know what you can and cannot do. To help you make your decision we have written two articles that might help you make the best choice. Remember that this only applies to ebooks and not to print on demand books. Books listed on Amazon by publishing houses have a lot of information on each sales page. Do you know that you too can add much more to your book page on Amazon for both ebooks and print books? You can add a back cover description, perhaps with snippets from your book reviews. You can add your author bio and even add more information about you and your book using inside the flap. You can also use HTML to customise your sales page to add headings, bold and italics. You will need to set up your Amazon Author Central page to add all this information. Read our complete how-to guide on getting the best out of your Author Central page. Do you already have a few book reviews? Maybe from beta readers or in a blog post review from fellow authors? Did you know that you can add book reviews to your sales page on Amazon? Well, you can, and they will not be deleted as can happen with customer reviews. To add your reviews, go to your Amazon Author Page and follow the instructions in our how-to guide. The first few months are when a book succeeds or fails. Don’t waste a single day of this time by publishing too soon. If your new book is poorly listed in the wrong categories and has a weak description, it will take time to repair. Sales in the first few weeks will boost your ranking, which will help generate more sales. Make sure potential readers and buyers can find your book by using strong and competitive real search keywords and not guesses. Going through the checklist above before you publish, will give your book the best chance of success. But if you have already published, it’s not too late to make improvements to your book and give it a second chance. More reading: Are Your Amazon Books Merged On Your Book Sales Page? Be sure and invest in a professional editor. You’ll be glad you did!